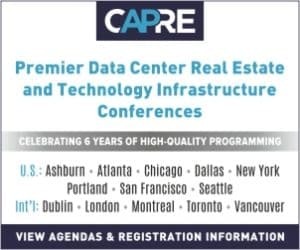 CAPRE MEDIA | CAPRE EVENTS > Conference Coverage > Chicago > How is Cloud Architecture Adding Value For Customers? CHICAGO, IL — At CapRE’s Chicago Data Center Summit, a rousing panel titled The End-User Approach to On-Prem, Hybrid, the Cloud, and Tomorrow’s Compute Needs and Initiatives featured an in-depth discussion about the economics and capabilities of various compute architectures. At the conclusion of the discussion, a member of the audience rose their hand to ask a question. How Does Cloud Computing Impact Capital Strategy? Has Tax Reform Spurred Investment in Acquisitions or Equipment? Emil Sayegh Answers the Eternal Question: What Workloads Should Go Where, and Why? How Do You Make Sure Clients are Ready for Cloud Migration? Banner Image (L-R): Thomas McKinney, CFM and Director for Data Center Development, FORSYTHE & Emil Sayegh, Chief Executive Officer, Hostway Services, Inc.